The Safeway site at 415 14th Street, SE, rivals in size the currently-under-redevelopment Buchanan School site immediately behind it, but is unencumbered by historic structures. Image from Google Maps shows the relative size of the space available for redevelopment on the right.. The left half of the block is the Buchanan School site, currently under redevelopment by Insight. 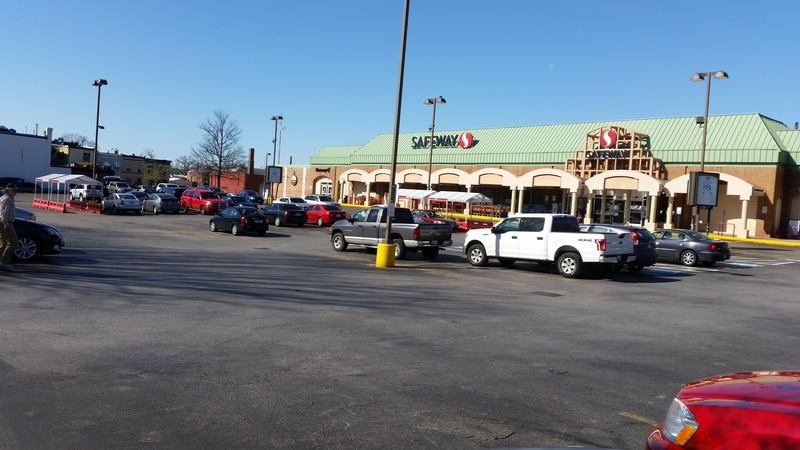 According to sources, Safeway Corporation has invited select developers to submit proposals for redevelopment of the Southeast Safeway at 14th and D Streets, SE. The project envisions a mixed use development not unlike the Georgetown Safeway or the Wisconsin Avenue Giant in NW DC. A source tells CHC that a preferred developer has been selected, but it is uncertain who the developer is, or what they have proposed. The request for proposals specified that a grocery store will remain on the site, along with additional ground level retail, and residential units on upper floors. The huge site is zoned commercial C2-A and can be built to a height of 50 feet. The plan is to develop the site “by-right”, meaning that no zoning changes or Planned Unit Development (PUD) process will be necessary, minimizing public review of the plan. There are four residential or mixed use projects in the immediate area which, when complete, will add up to 1200 new residents to the neighborhood. For more on these developments, see here: http://bit.ly/1Zm9t60 How many more residents the Safeway site redevelopment will accommodate is uncertain. FWIW, your examples aren’t analogous. While the Georgetown Safeway has some retail on the ground floor plane on Wisc. Ave., that hardly qualifies as mixed use. Similarly, the Cathedral Commons Giant is part of a “horizontal” mixed use project, but there isn’t much developed space above it although there is elsewhere on the site. More comparable examples are probably the City Vista or Petworth Safeways which are examples of “vertical” mixed use, with ground floor retail with housing above. 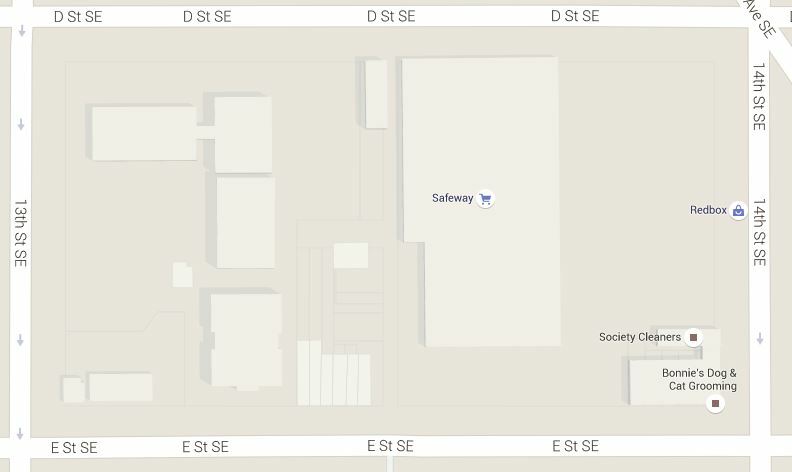 The former was developed with a Safeway as part of the retail program, but Safeway didn’t own the land. The Petworth Safeway site was owned by Safeway and is now a multistory mixed use building with a Safeway on the ground floor (they still own that floor as a condominium) and rental housing above owned and operated by a different party. Dr Layman, Safeway has just *invited* proposals. As none have been received, where the additional space will be, whether above or next to the grocery store, is undetermined. the likelihood of one of the companies approached being the one that developed the Petworth site is extremely high. Similarly, other than the Georgetown Safeway, the other Safeways as part of mixed use developments in the area are vertical, e.g. Wheaton, and the original proposals for Palisades and Tenleytown, both of which the land has since been sold to third parties. Plus, in terms of maximizing the value of the land, the direction is pretty obvious. I think we can all agree it won’t be a rebuilt grocery store with a vast surface parking lot. But the the zoning, comprehensive plan, and land size just doesn’t lend itself to a vertical project. The Petworth Safeway is C-3-A/Georgia Ave Overlay and almost exactly half the size of this site. Cathedral Commons is C-2-A but it’s a PUD and the grocery store parcels are a fifth of the size of this site. City Vista is C-2-C/Downtown Overlay and a third of the size of this site. A matter-of-right C-2-A project on 120k square feet just isn’t comparable. Furthermore, the comprehensive designation of Low Density Commercial/No residental doesn’t really support vertical development either. I’d love to be proven wrong, I just don’t can’t see it. I took part in Safeway’s telephone survey a year ago or so in which they asked a multitude of questions about the Kentucky Avenue Safeway and how desirable a newer Safeway would be. I’m glad to hear that they are moving ahead with this project. 120k square foot by-right C-2-A development is a super weird project but I’m so glad this is finally happening. More than the height, I think the 60% residential lot occupancy and 2.5 residential FAR will really challenge any developer and I think counter Richard, the zoning will prevent any sort of real vertical development. Could be that the Safeway store will remain, but the parking lots will be developed as mixed use / residential? I wonder if that gets the 60% residential. No idea about the FAR.